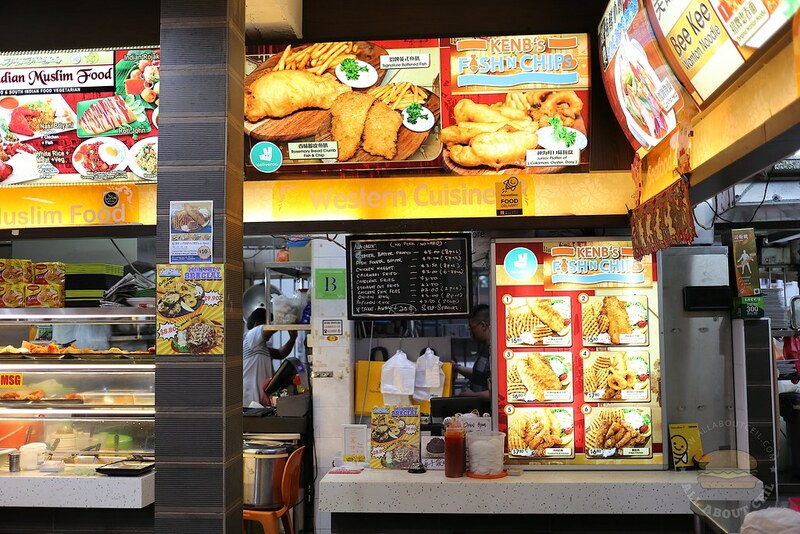 This hawker stall was first spotted when they were at their previous location in Sin Ming Drive at a coffee shop next to the bus stop. There was a prominent banner about them hung just outside the coffee shop. They then closed it down. I managed to track them down again when I came across their post on the Facebook. 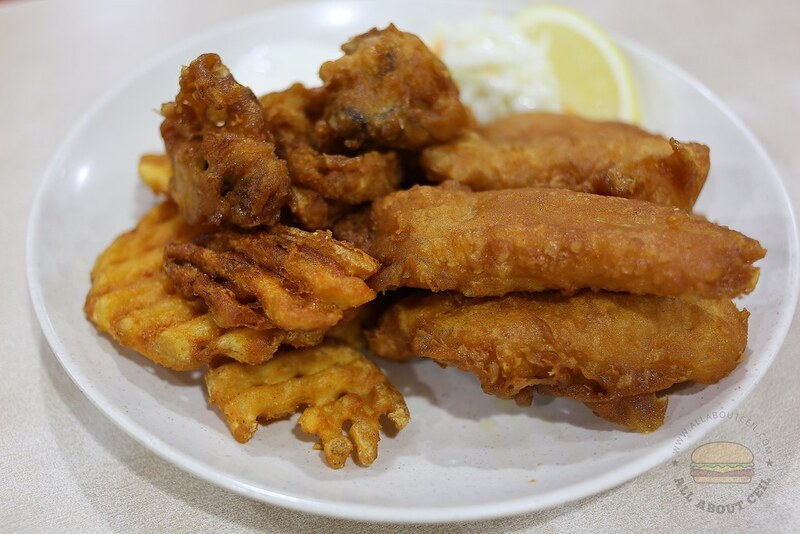 They have since moved to a coffee shop at Lorong Lew Lian close to Serangoon MRT station and a stone's throw away from NEX. I visited on a rainy evening. The coffee shop was rather quiet during dinner. My dining companion walked past and did not manage to locate the stall as it is located right at the corner, slightly hidden by a pillar. There was a friendly lady at the counter that took our orders. 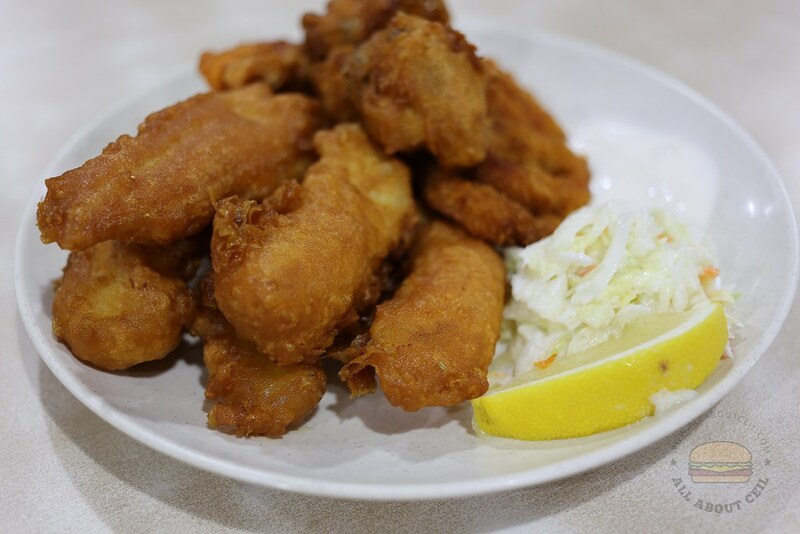 We decided to go with Signature & Bread Crumb Fish Mix at $6.80 and Junior Platter of Calamari, Oyster and Dory fish at $7.80. I was given a pager after paying up and it buzzed after waiting for 10 minutes. We collected the Junior Platter first. Those Fried Calamari were over-fried, it was hard with a rather chewy texture. My dining companion suspected that it might be the frozen ones. The Fried Oyster was as disappointing. There were 2 pieces, the first one was coated with a layer of thick batter that apparently was over-fried. It was greasy and the batter was hard. The second piece was a little better as I could at least taste the oyster in it. 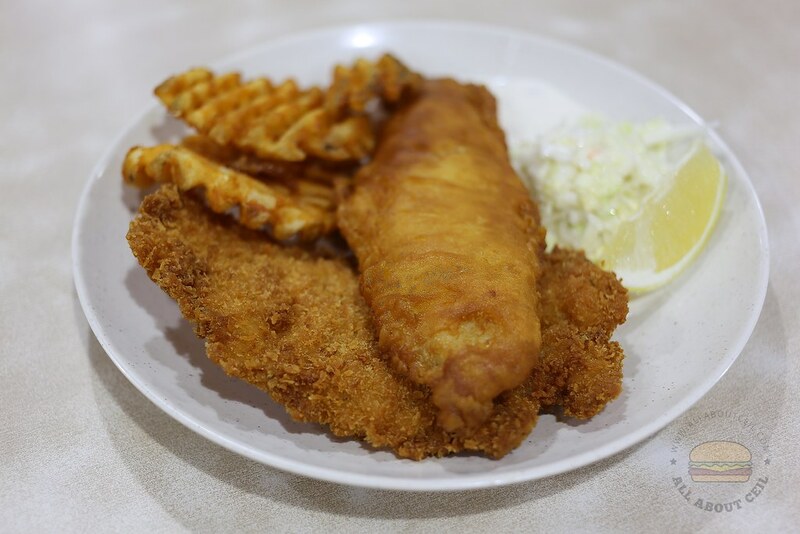 Those pieces of Fried Dory did not manage to stay crispy for too long as it turned soggy pretty quick. I did not manage to finish the Coleslaw as those shredded cabbages were rather soggy and not crunchy. My dining companion felt that such standard is still acceptable for the price charged and he thought it is value for money. The Signature & Bread Crumb Fish Mix did not fare any better. I tasted the piece that coated with breadcrumb and did not really like it as much as compared to their signature fried fillet. Maybe they did not change the oil often enough as it left quite a bad aftertaste in the mouth. I do not understand how could such a stall manages to survive this while when serving food at this standard? How did they manage to score 11 of 5-star reviews out of the 12 reviews left on their Facebook? It just did not quite tally as given such a standard. One of the nicer Fish & Chips eaten was from Seasalt - the seafood place and the sad news is they are closing on 31 May 2018. They are still looking for a good and comfortable location. Though the quality is important, it has to be cost-effective at the same time and the profit margin is usually quite thin.